a fully instructional fieldwork experience! If you're looking to hone your skills and take your photography to the next level, then a private workshop may be what you're looking for. 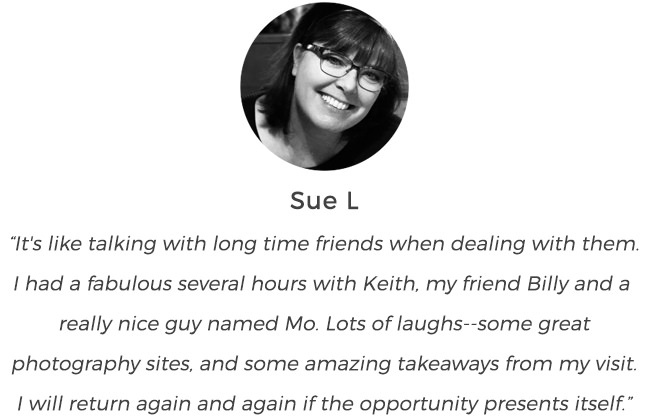 Each one-on-one workshop is private and tailored to meet your skill level and desires. 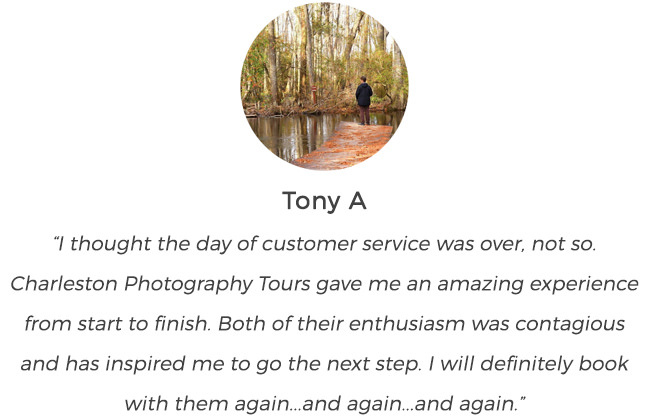 We'll get you to the same beautiful locations while instructing on topics such as composition, exposure, aperture, histogram, white balance, the use of filters, slow exposures and so much more! Our goal is to make sure each and every time you arrive at a location, you are armed with the tools and knowledge to get the best shot possible. It doesn't hurt that you'll be going home with beautiful images from the Lowcountry, too! 1 Non-Shooting Friend or Family Member Welcome!